The Grand National takes place this weekend which means that race season is in full swing. If you’re heading trackside to either watch the races or drink a glass of prosecco or two, make sure you know the ins and outs of the dress code. Alternatively, if you’ve got a formal event coming up like a wedding or a summer ball then you’ll want to keep reading to find out how you can look your best this spring and summer. There is no official dress code for The Grand National but smart clothing is preferable. Fancy dress and sports clothes are not permitted for the Grand National meeting. Ascot, on the other hand, has quite strict rules about what you can and can’t wear. Therefore, the items selected below are all suitable in accordance with these guidelines for the Royal enclosure. All of these pieces are available to click & collect to over 7,000 locations with CollectPlus, meaning you don’t waste any time waiting in for a delivery. This year women are allowed to wear trouser suits as long as the are full length and of matching colour and fabric. 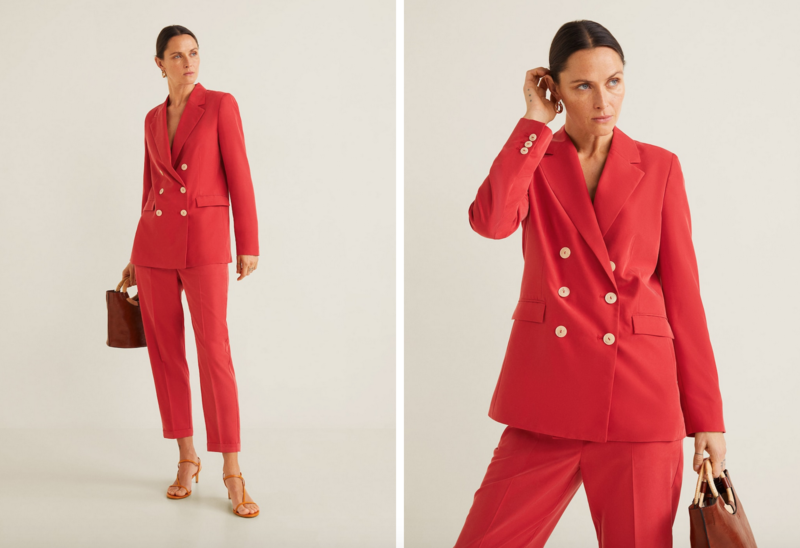 We love this double breasted blazer (£69.99) and trousers (£35.99) from Mango. In accordance with Ascot rules, dresses need to be of “modest length” with straps of at least 1 inch or greater. They cannot be strapless, halter neck, off the shoulder or with spaghetti straps if you want to go in the royal enclosure. The Windsor enclosure has a more relaxed dress code, but guests are still expected to wear smart clothes with no fancy dress or sportswear. We love this navy blue lace midi dress from ASOS (£75). Alternatively, if you really want to splash the cash then this Kenzo frilled maxi dress (£640) is perfect. Royal Ascot states that jackets and pashminas are permitted within the Royal Enclosure but “must be worn over dresses and tops to comply with the dress code”. We love this Chanel inspired cropped blazer from River Island (£65) and this sparkle pashminette (£22.50) from M&S. Both would look very elegant over a midi length dress and will probably be needed with the British summer! 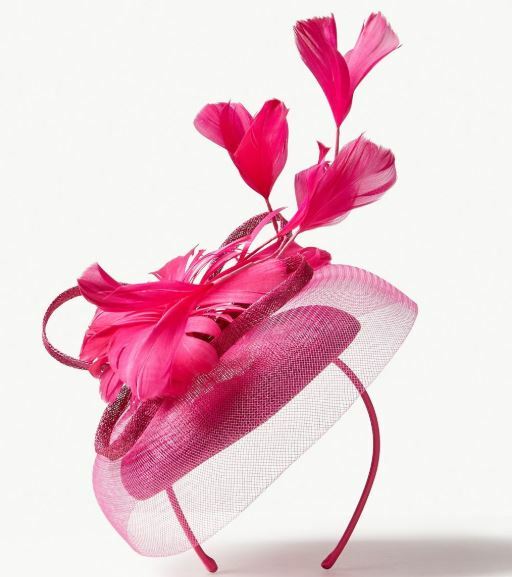 If you’re going to the races or a wedding this summer then it’s the perfect opportunity to explore headwear. We love investing in a good hat or fascinator and think it is the ideal finishing touch to a formal outfit. If you’re going to Ascot in 2019, then hats must be worn in both the Royal Enclosure and the Queen Anne Enclosure. Hats are also a key feature of the Grand National although are not obligatory. We found this gorgeous statement head piece at John Lewis (£35) or add a shot of colour with this pillar box fascinator (£39.50).